» OReGO update: Where did miles go? OReGO update: Where did miles go? 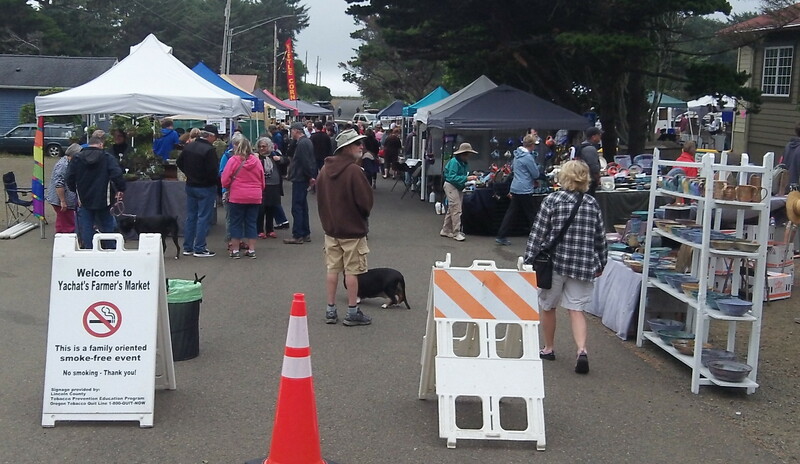 Only 37 miles from Albany to the Yachats Farmers’ Market? Not really. So how’s it going with OReGO, the state’s volunteer program of charging a mileage fee instead of the gasoline tax to pay for highway programs? It could use more volunteers, for one thing. For another, there may be technical issues to iron out. The 2013 legislature authorized the program to show how it might work on a large scale to charge vehicle owners and drivers by the miles they drive. Up to 5,000 vehicles can take part. The program began July 1, and after one month, 801 vehicles had been signed up. So, as ODOT’s Michelle Godfrey told me Tuesday, there’s a lot of work to be done to build both awareness of the program’s existence and confidence that it works. You can sign up by going online and looking for OReGO. It works this way: A mileage recording device (MRD) you plug into your vehicle measures how far you drive and how much fuel you use. It reports this information to the ODOT vendor you chose when you signed up, and an online account keeps track of the mileage fees you owe — at 1.5 cents per mile — versus how much credit you get for the gas tax you paid. On Saturday we drove to the coast, with a side trip outside Philomath, but the device registered only 38.6 miles. For the return trip two days later, on the same road but without the detour, the mileage total was 76.6 miles. How come? One possibility is that spotty cell phone coverage along Highway 34 caused some of the miles to be ignored. But as I understand it, the device would have stored the distance and downloaded it once it was again in range of a cell tower. So a more likely possibility is that I somehow jarred loose the MRD. This is possible because in my truck the gizmo is mounted under the dash within an inch or two of the parking brake, and I may have inadvertently kicked it when my left foot was fumbling for the brake. I’m waiting for more information on that from the technical people at Sanef, the vendor keeping track of my device. Preliminary conclusion for the benefit of ODOT when the program is evaluated: Consider where the MRD should be mounted so it can’t be kicked loose. Maybe the “Cover Oregon” people now work for ODOT? Good for you Hasso, for helping to figure out the system. Can you explain how they calculate or track the gas tax refund? Is this based on actual gas purchased (do you keep the receipts or something)? Is it based on an assumed MPG for your type of car? Would the plan in the future be that gas stations have a ‘tax free’ pump for folks with cars that are paying by the mile, or would it be based on whatever is being done now, where one pays up front and then receives a refund? The port you plug it into is the data access port to the vehicle computer. Car technicians use the same port to diagnose and check the car status. That’s where the fuel consumption information comes from. Most cars now continually monitor it. There will be glitches for sure. That’s why it’s a testing program. People like you are a great help.